Dog Ear Publishing releases “The Last Spitfire Pilot” by Jack Kneece. Group Captain Townsend Rowland-Evans, know as Towns to his friends and family, was surprised and touched to find an enormous crowd gathered to celebrate his 97th birthday, and he was pleased to see his beloved Spitfire plane take to the sky. 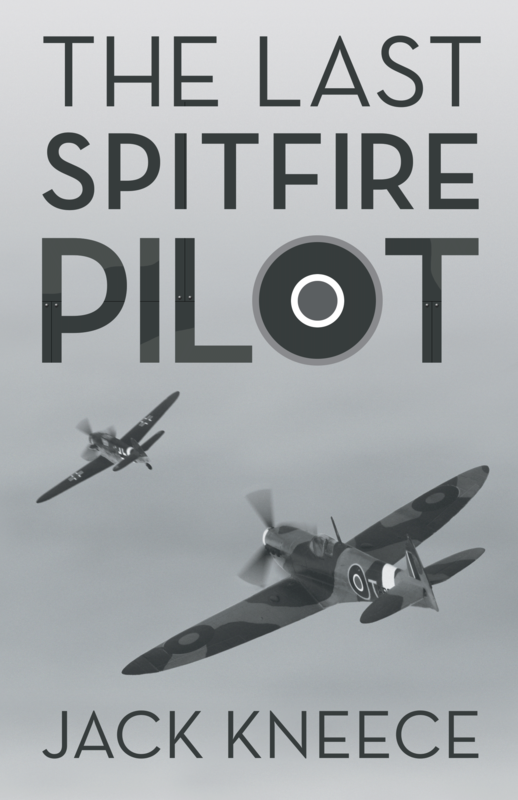 As the last living Spitfire pilot, according to this new novel, Towns was the only person alive who could speak with first-hand knowledge of the experience of flying one of the most famous planes of the World War II-era aircraft. Towns was intimately acquainted with the plane’s many foibles as well as the sheer joy of flying. Towns related the story of weeks of training, and the way his love for the Spitfire helped him deal with the terror he felt at the prospect of battle. His beloved squadron mates bolstered him as well, and his three best friends in the squadron were his constant companions. A.C. Blaine, Lee Blaine and Randolph Dennell kept Towns company on the ground and in the sky, and he treasured their friendship through the painful experience of war. Through skirmishes with enemy fighters and full-on battle, Towns managed to come back to his base every time, though some days it was closer than he liked. Through the years of the war, Towns flew many missions through several countries, and each mission proved the mettle of the men involved. “The Last Spitfire Pilot” is a stirring story about one man’s experience during one of the most challenging times in recent history, WWII. Towns is an inspirational character, and readers will enjoy his account of his flying Spitfires. This is the fifth book for author Jack Kneece, a veteran journalist with a long, successful career, including three Pulitzer Prize nominations while working at the Oakland Tribune. He taught journalism at the University of South Carolina and worked for United Press International, The New Orleans Times-Picayune, the Oakland Tribune and the Washington Times. Kneece helped found a newspaper in Singapore and wrote the first investigative stories on Vice President Spiro Agnew, who later resigned. Kneece writes the he “never missed an opportunity to interview World War II pilots, especially Spitfire pilots.” These interviews helped shape the character of Towns. For additional information, please visit www.lastspitfirepilot.com.